A simple frame at the back of the cockpit is a handy place to mount various aerials and electronic devices. Solar panels are more efficient if they can be rotated and angled, so that they are at right-angles to the sun’s rays. 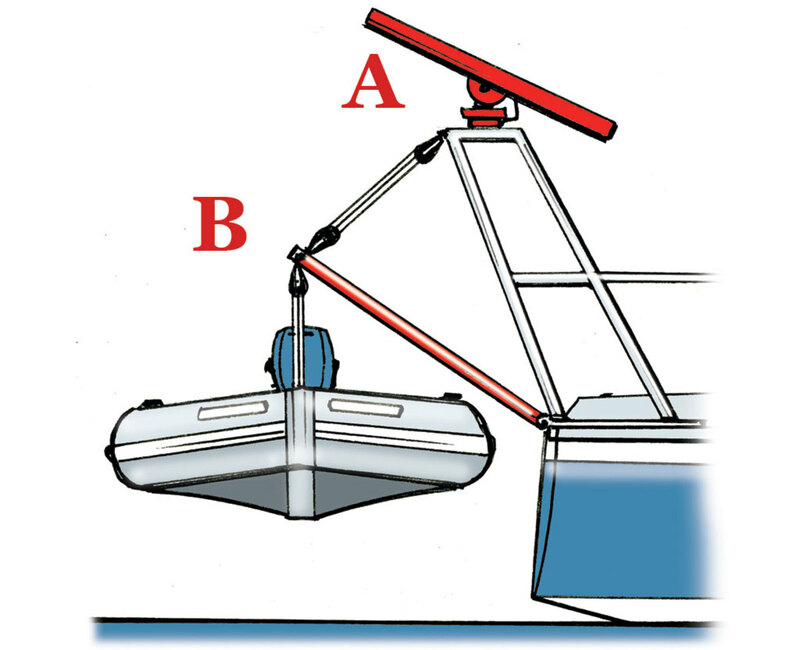 Davits can be designed into the frame’s structure. Wind generators vibrate, so they need very strong mounts. Radar signals can be disrupted if the scanner and boom are at the same level. Strong frames can support small cranes, sunshades with windows and side screens, and fabric rain-catching gutters. Some catamarans use simple poles as davits for the tender. Solar panels can be mounted there, together with windsurfing boards stowed beneath them. 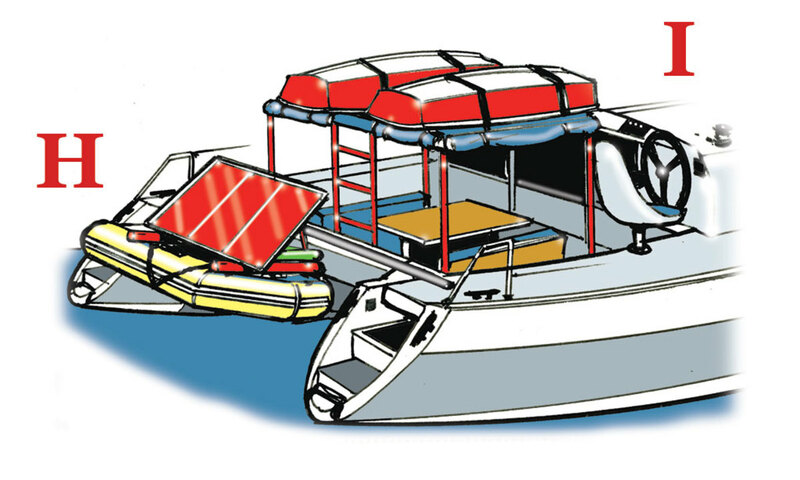 Strongly framed sunshades can be used like a roof rack for small sailing dinghies. This massive frame contains all manner of clever ideas, such as air intakes and exhausts well above the waterline. 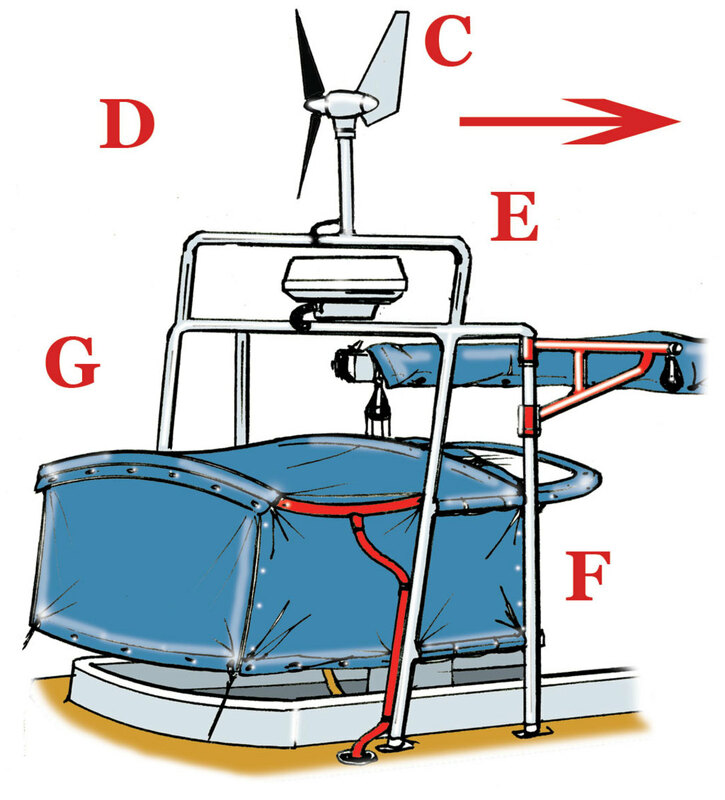 The speed of low-level wind can be reduced by the turbulence and friction induced by the boat and the sea surface. 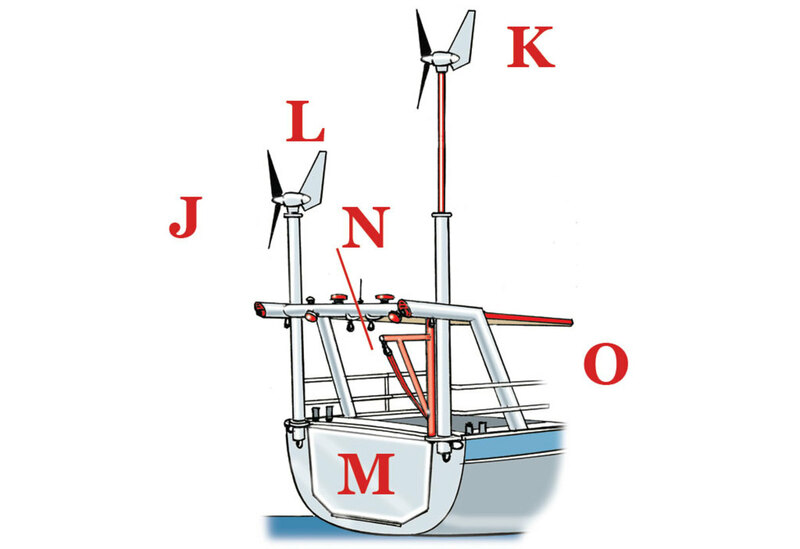 This large aluminum yacht has telescopic mounts to get the wind generators high up into the stronger air flow. And a small crane to lift and swing in outboard engines, fuel tanks, batteries and stores. It also creates a solid base for an extendable bimini-type sunshade over the cockpit.